Sun! 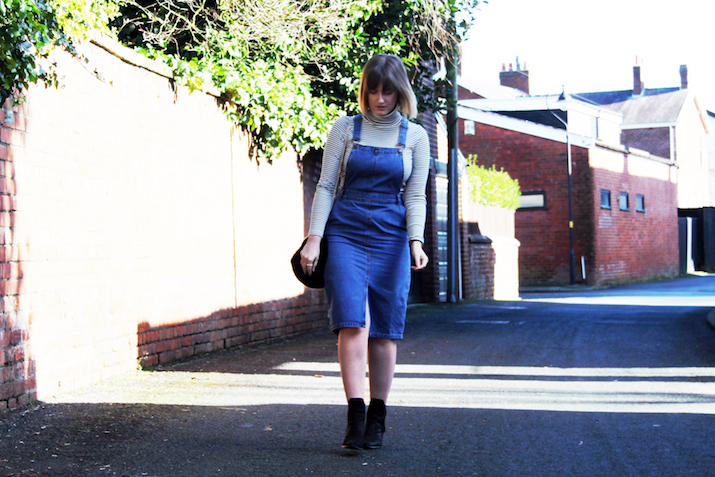 Today has got to be the first day in a long time when I haven’t had to battle with wind/rain/hail stones, so I took the opportunity to get out and take some photos of what I’m wearing today. 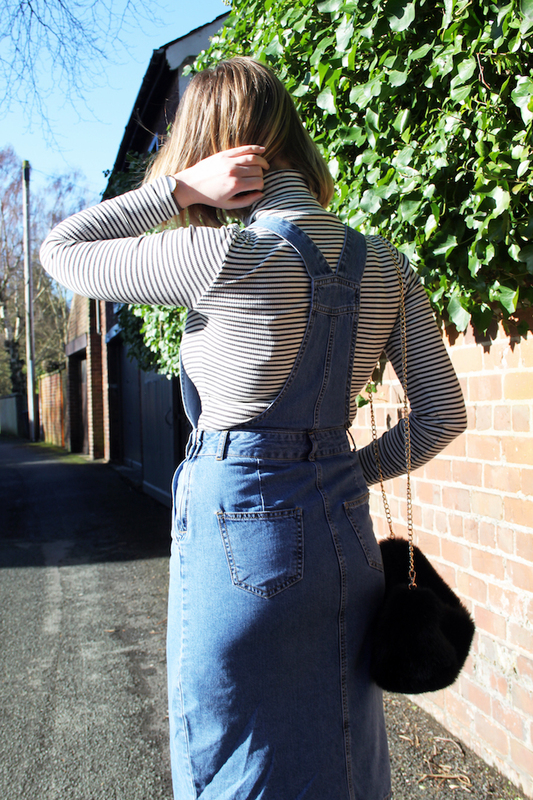 I’ve been toying with the idea of midi dungaree dresses for a while now and decided to take the plunge when I saw this one in New Look. 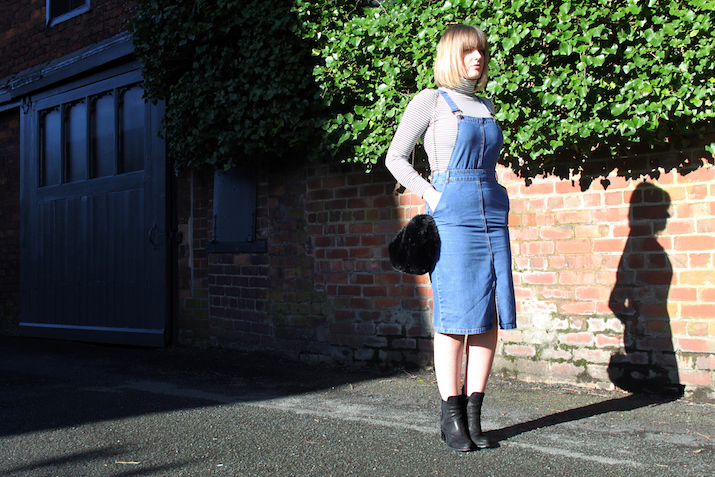 Originally I’d been after a black one that would be more work appropriate, but there’s something about this classic blue denim shade that I just love. New Look is actually really impressing me lately with all of it’s new collections. 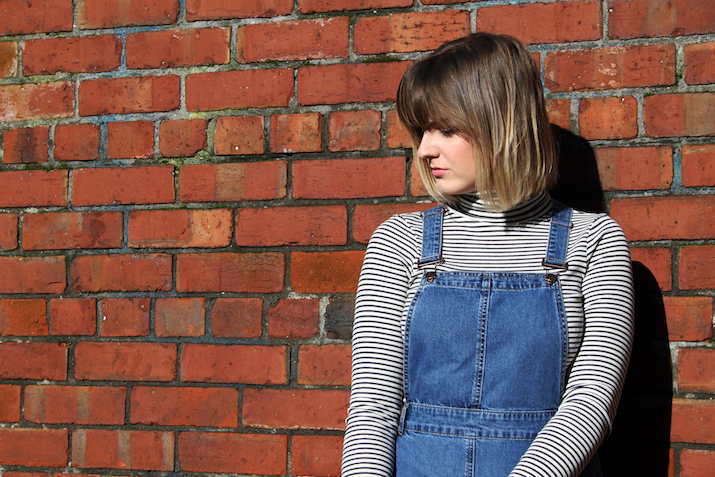 It’s never really been top of my list for clothing, but recently I’ve bagged some amazing items from there, and for really reasonable prices too. 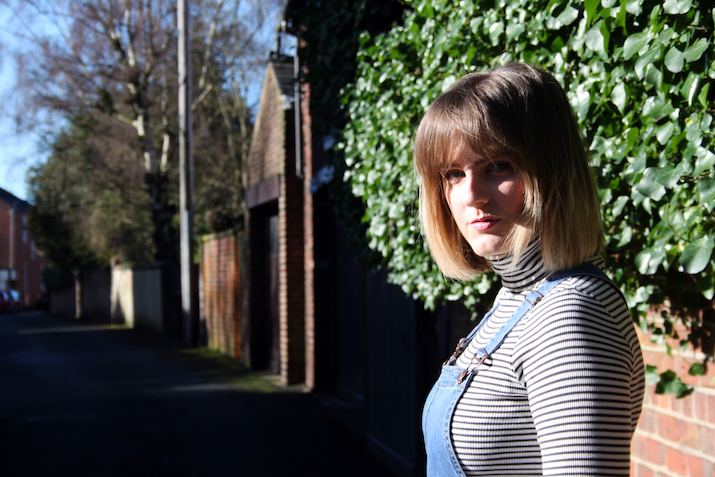 The striped roll neck is also from there, and I also picked up a new jumper, sweatshirt and blouse on one of my recent visits. I think I’m now completely sold on the idea of midi dresses, and have now got this black button up number on my list which I think would look so sweet with a little shirt underneath for work. I’m planning on wearing this one a lot throughout Spring and Summer, paired with t shirts and Converse, or simple black long sleeved tees and heels. They’re actually a lot more versatile than I first thought! 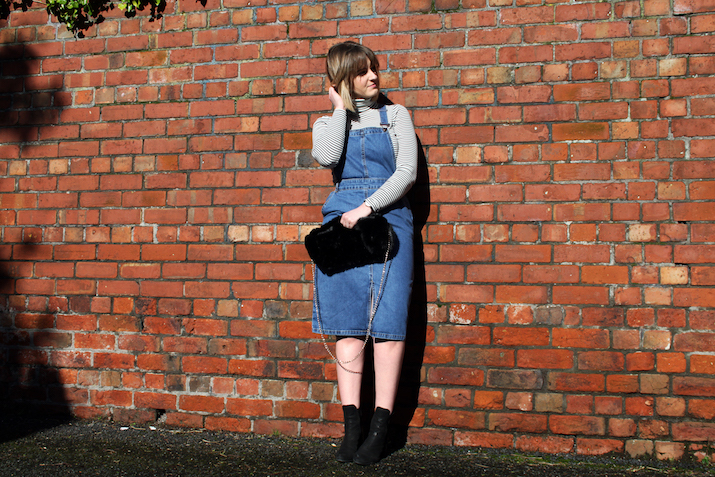 Have you tried out the pinafore trend yet? 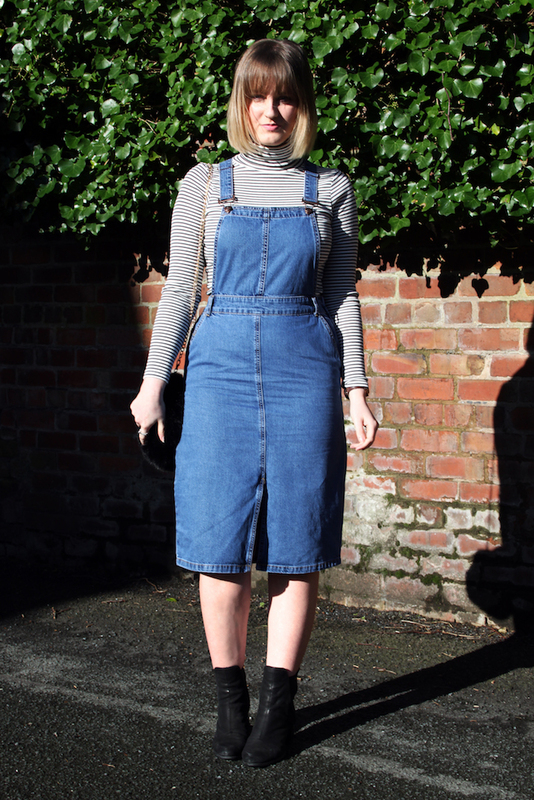 Will you be picking up a midi dungaree dress like mine? 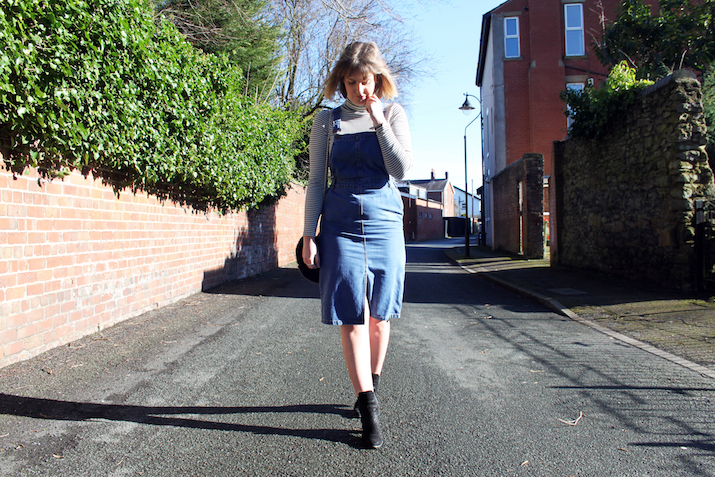 "EATING OUT | THE MARCH HARE, CHEADLE"
"VICHY DERMABLEND COSMETICS | REVIEW"
I LOVE this dress!! You're totally right, New Look has been so good lately! It's usually quite hit and miss and I often forget about it but I'll definitely be heading down there asap!